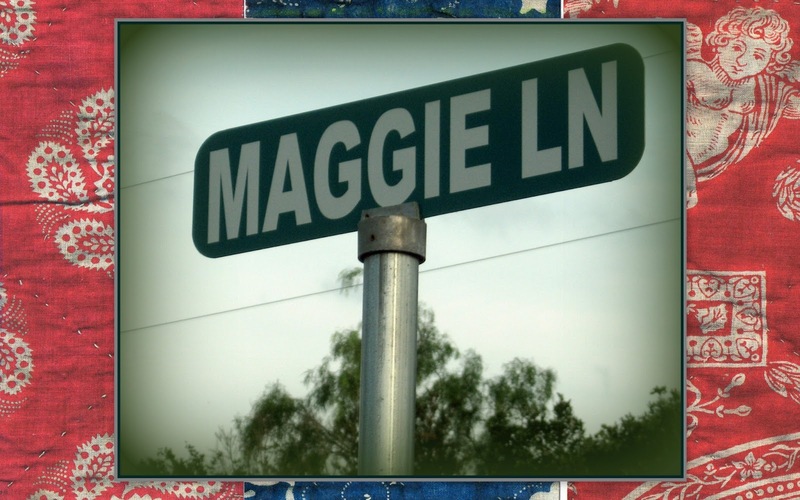 Notes from Maggie's Farm: who is maggie? Approaching our first birthday, this blog, we are, and we've been giving thought to how, with the encouragement and support of our readers, we've come pretty darned far. We're thinking of ways to throw a little blog party next week. We welcome your ideas. 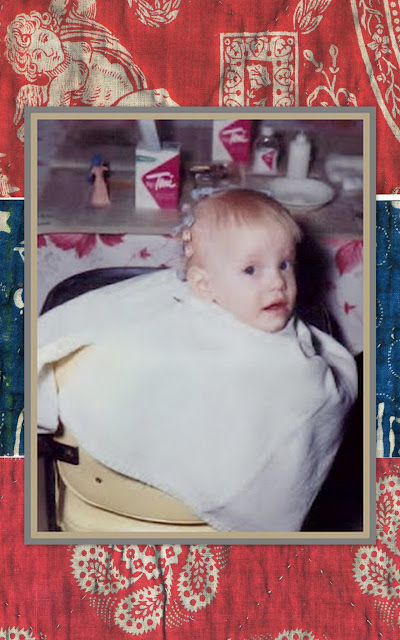 But first, for the all but two of you who weren't here in the beginning, one of our first blog posts.........who (the heck) is maggie? When I walk into my kitchen today, I am not alone. Whether we know it or not, none of us is. We bring fathers and mothers and kitchen tables, and every meal we have ever eaten. Food is never just food. It's also a way of getting at something else: who we are, who we have been, and who we want to be. --Molly Wizenberg. Easily the question most often asked around here, after 'How in the world did you end up out here?' is Who is Maggie? A quick internet search for from maggie's farm might return our website, this blog, or just as likely a slew of offshoots based on the song, Maggie's Farm, by Bob Dylan. And while we might, on occasion, relate to so some of the particular sentiment of that song, that is not our Maggie. And most people know me casually as Christine, Christy, or Chris. 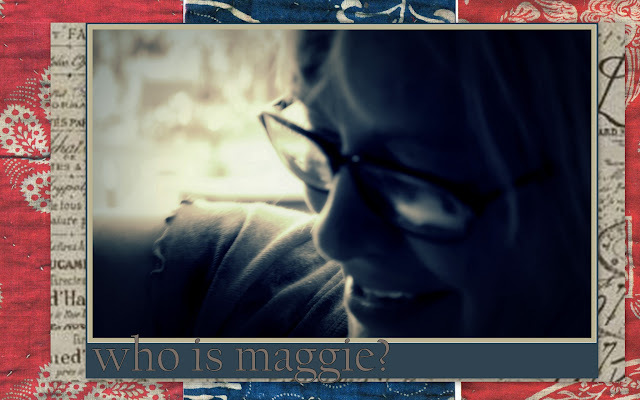 So, they ask, who is Maggie? Well, there are quite a few Maggie's in the story of from maggie's farm. I am fortunate to hail from, and be surrounded by, strong, talented women who have all supported and contributed to the best of what I've become. 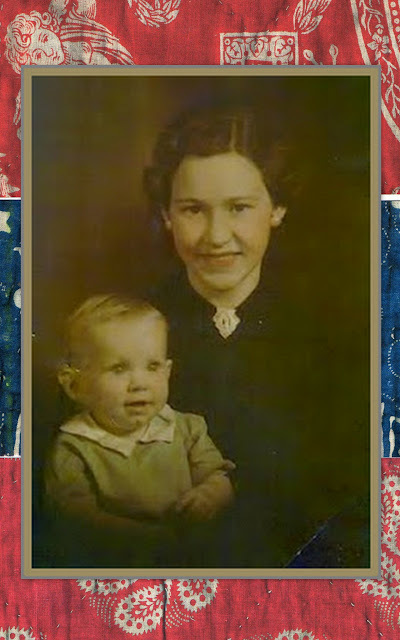 My paternal grandmother, Margaret Josephine, the third of eight children of Josephine Margaret, was a devoted mother and doting grandmother, and when I am challenged as a mother, it is her example which guides me, and I strive to live with the grace and strength she so beautifully personified. She leaves a legacy of gathering family around the table for memorable meals; her fried chicken is the stuff of legends. During the harvest of our summer's bounty, I often walk into my kitchen on preserving days to the heady aromas of fresh vegetable and sweetened cider vinegar that transports me to her kitchen and infuses me with an indescribable warmth, and the assurance that I am doing just what it is that I am meant to do. My maternal grandmother, Harriet Margaret, was a beautiful woman, and incredibly talented artist with a dry, rapier with. She spent long hours teaching me to hand sew perfectly, and helped me to hone my penmanship skills so that I was the best in my class. 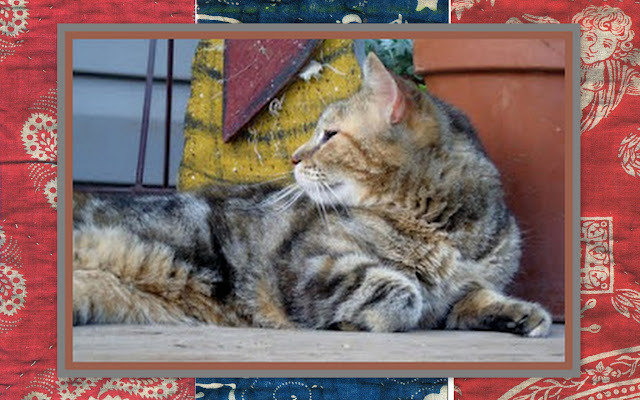 Although she was always impeccably groomed and dressed, that never stopped her from plopping down in the garden with me, along with my twin brother, teaching us the fine art of making mud pies, or using furniture casters as 'cars' in the 'race tracks' we made in the dirt. Her father died when she was young, and she was subsequently raised by her beloved widowed mother, a farmer, also. When my art projects work out unexpectedly well, my chickens gather around me adoringly, or when a little comic genius is called for, and delivered, I know she is with me. And my mother, Margaret Ann, is the most perfect homemaker I've ever known. There has never been a day that I have walked into her home and found it less than spotlessly tidy. No shirt fresh from the dry cleaner's has ever been pressed as sharply as hers. She is an award-winning seamstress, and when I was a little girl, we would 'window shop' for pretty little dresses that she would sketch out on the notepad she carried just for such occasions. We'd then head to the fabric store, an on home, where she would work late into many nights to duplicate, and surpass, the choice I'd made. She set high expectations, simply because she believe her children could accomplish anything they set their minds to, and they often did so, with her encouragement. When the world gets tough, as it often does, and I'm feeling a bit tattered, there is no mother more in her child's court than she. Mothers and daughters, well they have unique, and often complicated relationships, but I have no doubt that my mother will always be on the other end of the phone to offer me words of unquestionable support ,and still believes that I am the best, most talented daughter in the world. And that leads back to me, and my full name, Margaret Christine. and that is the story of the Maggie's from maggie's farm. I love Maggie! And that's okay because I knew her before any else did. hi bub! i love you, too! remember how we used to use those furniture caster cars to race in circles around that big rug in granny's back room? we'd get dizzy trying to beat each other. good memories. 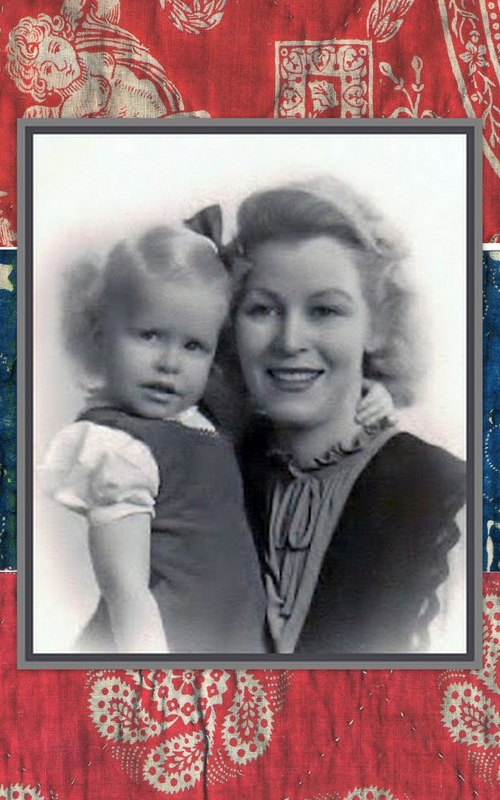 Margaret is such a lovely name and it's a lovely tradition to have the name handed down through the generations. The continuinity of names highlights the traditions and wisdom of amazing women over the years. My new neice's middle name is Margaret, named after her paternal great-grandmother and her first name is after her maternal great-grandmother, similar to our daughter who has three names, all of them named after family members. thank you such. it's funny, i've been called by my middle name all my life, but i began to embrace the grace of the name margaret as i 'matured', and it all just felt so 'right' to draw on that history for my venture. starting anew in life, in both vocation and passion, involves so many uncertainties, but the name 'from maggie's farm' has always fit like a glove. I come back to this post time and time again. We were so lucky to be surrounded by such beautiful, simple, gracious people growing up and they stay with us always. And how fantastic it is to watch you become as beautiful, simple and gracious as they were. Awe, Tim, you know that just made me dewey, don't you? You are a beautiful, simple, gracious man and a treasure of a cousin. Thank you for your encouragement. I love you, cuz. dewy, not dewey. That makes it seem like I just became responsible for the Dewey Decimal System, I think. PS - Josie's middle name was Margaret too! Tim, Of all of the wonderful post's, this is one of my favorites. Can't tell you how many times I've read it. There is another that I have enjoyed several times titled "Picket Fences, Revised". If you have a moment, search that one. I Googled on "Emerson Ginger Mint Julep" and got a hit on this blog. Unfortunately I can't find my way to the relevant post. The question is do you know anything more about this item, described (proclaimed?) in a sign painted on the side of a building on IIRC Decatur St in New Orleans? I Googled on "Emerson Ginger Mint Julep" and found a link to this blog. Do you know anything more about this item than the sign painted on the side of a building on IIRC Decatur St in New Orleans? Thank you for dropping by. The link to which that search should have sent you is http://frommaggiesfarm.blogspot.com/2012/06/lolling-about-quarter-emersons.html , but I'm afraid you won't find any more info about the product on that article (just about some lady's visit to the Quarter..lol), but I'd be fascinated to do a little more research about the product if you'd be interested. I'm always looking for an interesting project! Is this a product that is related to your family? Now what really puzzles me is that the sign remains, after roughly 100 years, in readable form. Further, it appears that the sign has been maintained by...??? Google produces a number of images of the sign, showing it in various states of "repair". Somebody has kept the sign alive. I have heard more about Bromo-Seltzer than the Ginger Mint Julep product, and wonder if that's where the value is coming from? This is all fascinating, and I'll be digging deeper into this, now that you've piqued my interest. Will you keep me posted on your research? If you'd like to continue the dialogue, please don't hesitate to contact me through email, the link provided at the top right hand column of this page. Thank you for sharing your knowledge!